FREE DELIVERYSTART 'N' GOSome postcodes excluded. Check postcode.Qualify for Start N Go + delivery? Start 'N' Go+ is exclusive to Calgary Just Companies websites. "Excellent service, delivery date/time picked my me after being contacted by Palletways. A big thank you to them. Machine delivered on a small pallet and was very well packed. Once unpacked it was just a matter of unfolding the handle. Once a little fuel was added it fired up on first pull, I'm now a big fan of Start 'N' Go. All in all a very professional company to deal with. 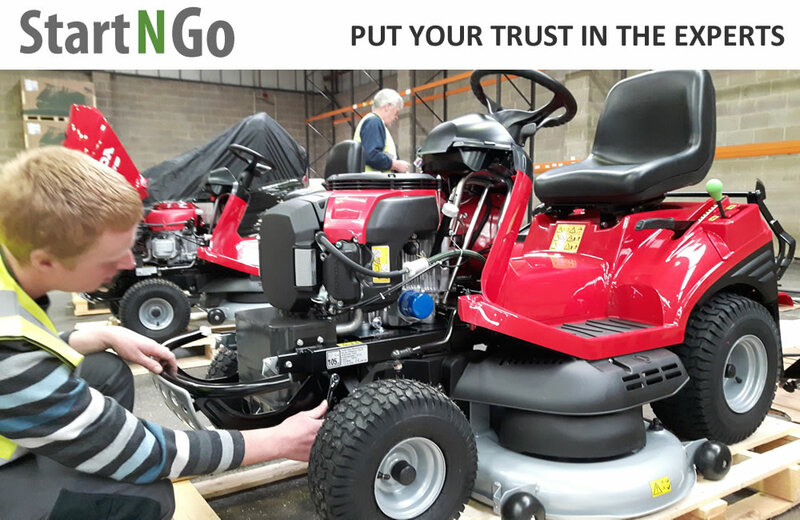 Many thanks to all the staff at Just Lawnmowers, you are doing a great job, a very refreshing change from other companies I have dealt with on line."